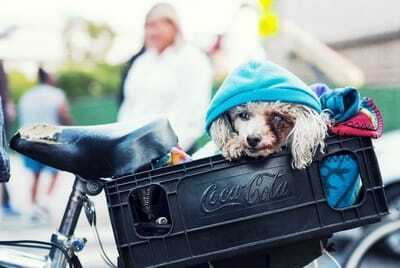 Fighting to end homelessness, one burrito at a time. 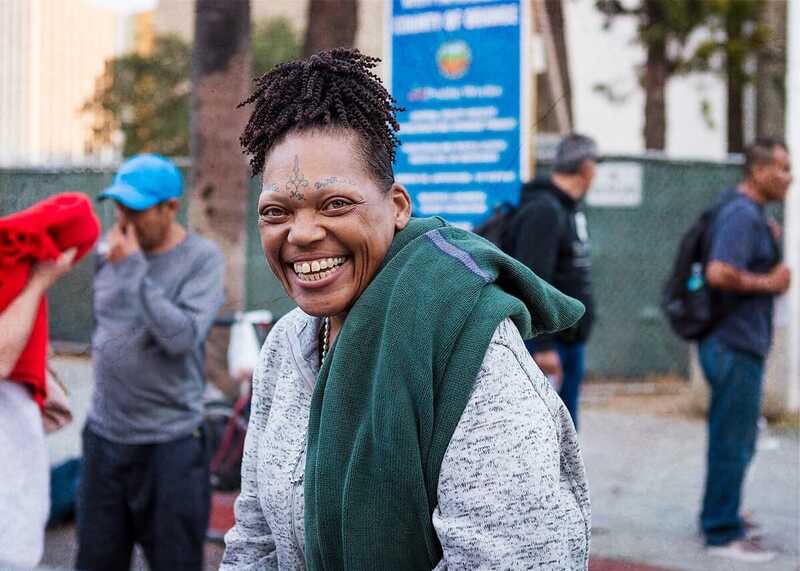 Our mission is to empower the community to become proactive agents of change, focusing on the multifaceted issues contributing to homelessness, and working together to create a path towards recovery of full and meaningful lives for our homeless neighbors. 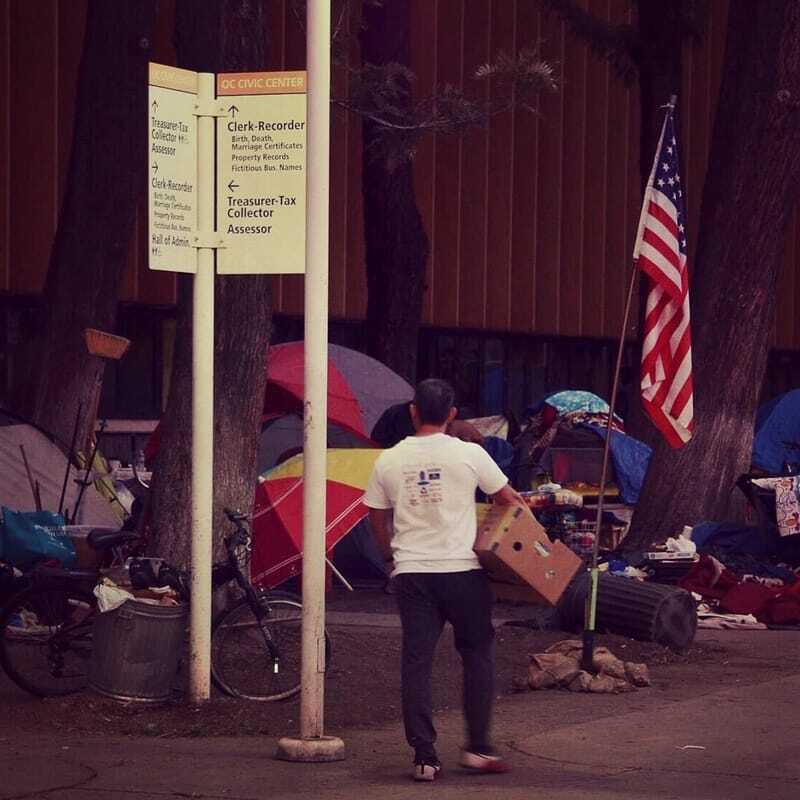 In 2015, we started OCBP after seeing homelessness reach a crisis in our community and deciding to do something about it. Maintaining the status quo has not worked for the past 30 years and the $299 million spent every single year is failing our communities. ​It's time to roll up our sleeves and work towards real solutions! In November 2015, our founders turned their passion for helping those experiencing homelessness and living with mental illness into a mechanism for change by inviting the community to join in monthly street outreach events rolling burritos for our homeless neighbors. From that point on, The Orange County Burrito Project became a means to empower individuals in their own community to address the needs of their homeless neighbors and start thinking differently about solutions. 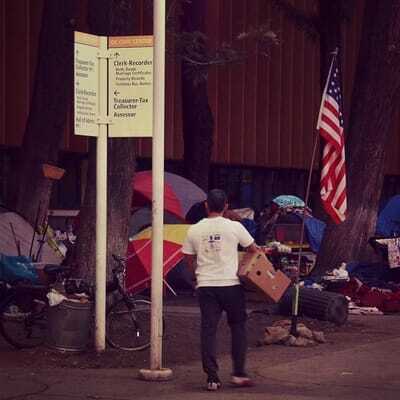 Improving public education of the issues affecting our homeless neighbors through our Community Street Outreach events, we motivate our volunteers to take an active role in working to end homelessness. November 2016. Hundreds of tents line the "Walk of Honor" in the Civic Center. 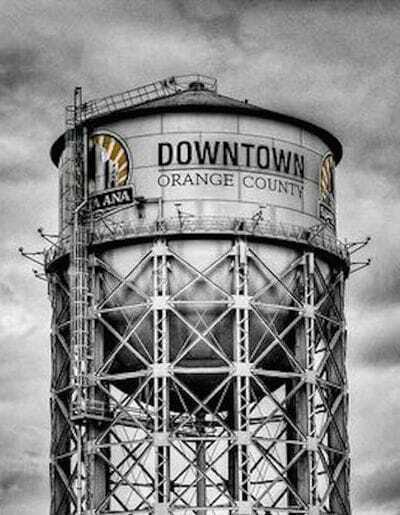 Orange County reports indicate there are more than 4,500 people experiencing homelessness in the County. November 2016. 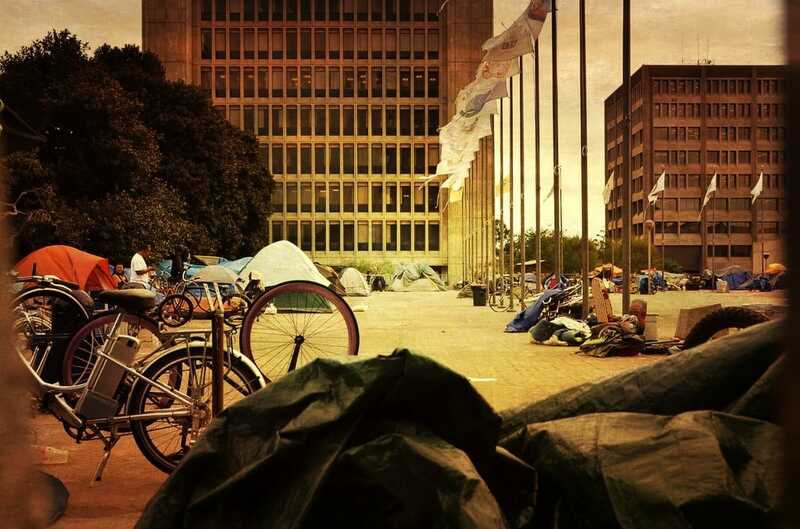 Hundreds of tents line the "Plaza of Flags" in the Civic Center. 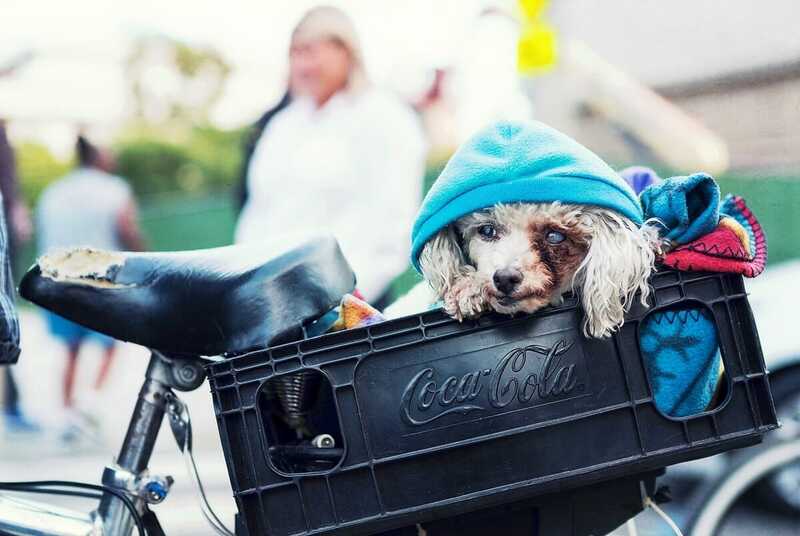 Many of those experiencing homelessness find comfort in keeping animal companions and we are sure to bring along snacks for them as well. 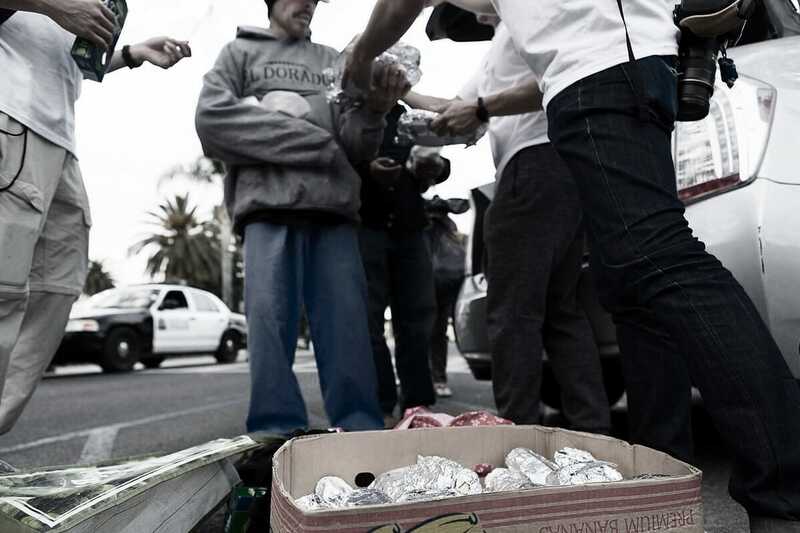 Our monthly street outreach events bring burritos of change directly to those who need them most. The best part of our day is seeing our burritos warm the hearts of those we serve.